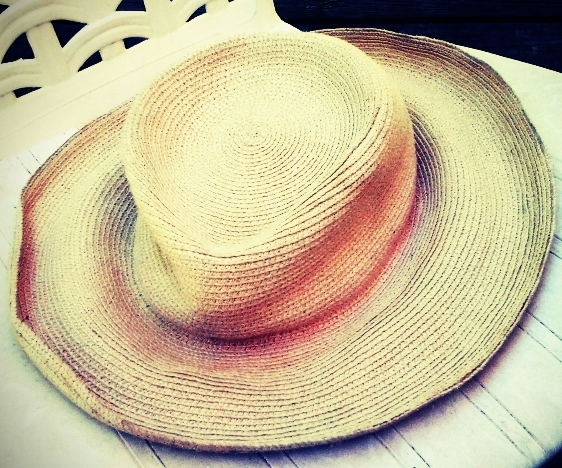 Here she is, a well worn paperstraw rollable toss in your suitcase hat. Not much to look at, but o how well she has kept me cool and saved me from sunstroke (too many times to count). I found her the other day, squished down in the back of the closet, and with a few good tugs to get her back into shape, she was good to go once more. 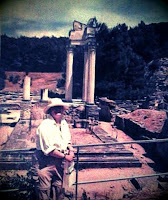 I did not realize how old she was until a friend saw me wearing her in a photo taken in 1999 Glanum Provence. Yes indeedy, Indiana Jonesita! The tales she could tell, the nights in Lussan at a little auberge situated in a town no bigger than a minute, the first omelette at La bar de la fontaine, the climb to the very TOP of the tower in Uzes, the churches, the fields of sunflowers, the LAVENDER of Senanque, the afternoon repast in Gordes, she saw them all with me. Next year if we play our cards right, she will be with me as we explore Rome and Tuscany. 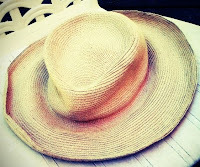 I do have a Tilley which I consider my 'town hat' but when I want to go exploring and take photos and do art, this is the hat I wear with love and gratitude. 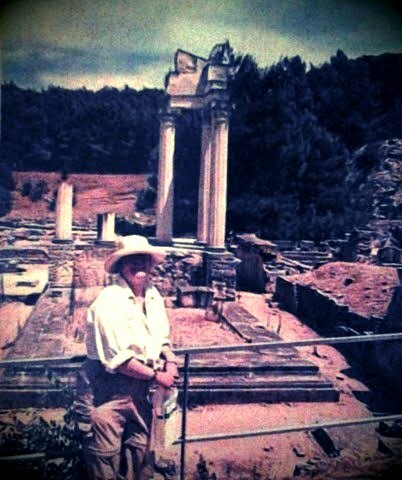 Blessing to those broad brimmed hat wearers like me!